Traditional media need to stop chasing after opinions and get back to straight reporting if they hope to turn the tide on fake news and remain relevant for future audiences. That was the consensus that emerged during a panel discussion on Why Is the Issue of Fake News Upon Us? 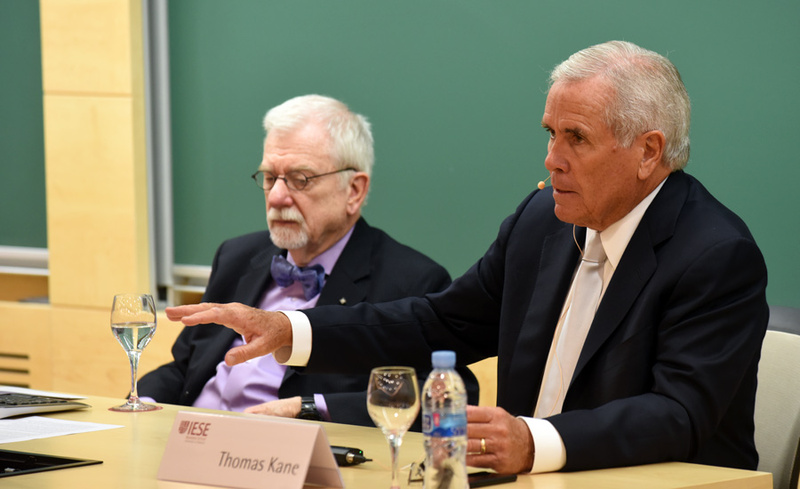 which took place on the Barcelona campus as part of the annual meeting of IESE’s US Advisory Council. William Baker of New York´s Channel Thirteen and Tom Kane of CBS both veteran media professionals and Council members admitted that the media have a serious credibility problem. The solution, they believe, is for the profession to uphold higher standards, and for the public to become better educated and informed. This makes what you do all the more important, Baker told the group of MBA students who had gathered for the discussion. Kane added: As long as there are schools like IESE, and an engaged student body, then this business may have a chance. The term fake news may have been popularized by US President Donald Trump, but misinformation, hoaxes and agenda-driven reporting have been around for ages. What’s different today is the scale of it, and how it has infiltrated nearly every corner of the globe. It is a reflection of broader trends trends that have pushed the media business to a crisis point. When Facebook was launched more than a decade ago, nobody could have predicted the dramatic effect it would have on how people consumed news. Digital media have replaced classifieds, which were what once paid reporters salaries and made newspapers economically viable. As revenue went down, news quality suffered, with a consequent decline in circulation. Social media stepped into the breach, becoming for many Americans their main sources of news and information. The loss of traditional revenues has cut media budgets and made journalism a vulnerable career choice. Many former journalists have been co-opted into working for corporate or politically funded entities with overt agendas. This has led to a situation where you stay alive not by delivering honest, true news but by spinning stories for your particular demographic, said Baker. There’s no clear baseline as to what news is anymore. Kane described meeting a man who was running a fake news site that featured entirely fictional content – and earning $5,000 to $6,000 a month in banner charges. This is a far cry from what Kane remembers when he worked at CBS Corporation. During its heyday, the CBS Evening News was America’s common campfire and its anchor, Walter Cronkite, was considered the most trusted man in America. Kane sensed the winds of change during the trial of O.J. Simpson back in 1995, when he heard people say they were following the story on Entertainment Tonight or The Oprah Winfrey Show, as opposed to more traditional news outlets. That was the first time it dawned on us that people were getting their news from talk shows based on opinions. Now, people are just as likely to get their news from comedy programs as they are from mainstream media. Satirists like Jon Stewart and Stephen Colbert are serving as the new Cronkites, especially among millennial audiences. That’s because satirical news shows may be joking around, but they are also telling the truth, and it’s that truth that allows them to connect with the public. 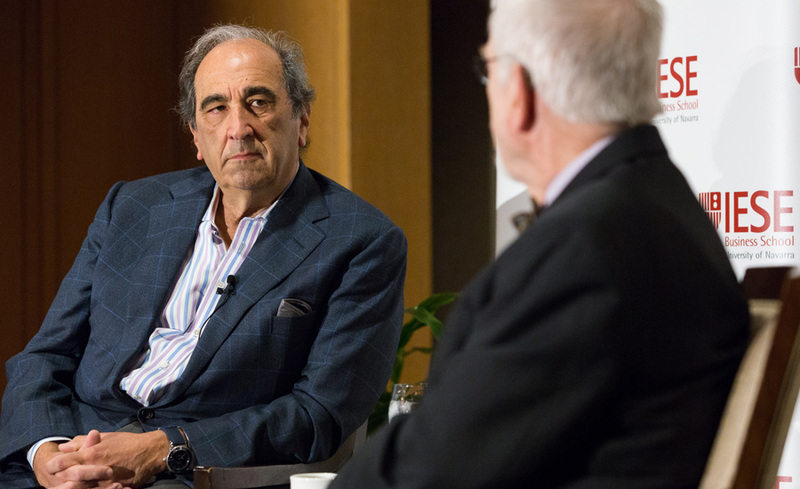 To find our way back from fake news, the panelists identified three stumbling blocks that must be overcome. Monetization. As the panelists attested, rigorous reporting takes time. Who’s going to pay for that level of rigor? To be competitive today, we don’t have the luxury of waiting all day to prepare a story as before, said Kane. Now it has to be instant. Being ahead of everyone else becomes the criterion, rather than getting the facts right.That has to change, though traditional news outlets have not managed to find ways to monetize their content for their increased online readership. For example, The New York Times is now read by more people than ever  100 million eyeballs online a day  but is making less money now than when it printed three million copies, said Baker. The panelists urged the budding business leaders in attendance to help come up with the new economic models that the industry has yet to figure out  not least because they will need factual news sources for themselves as they make decisions in the future. Credibility. Opinion-as-fact may sell, but it would be a mistake for cash-strapped media to pursue that path. They need to get the trust back or they are just another social media, said Kane.Both Baker and Kane were adamant that traditional media need to steer clear of any bias, stick to the facts, and reclaim the standards of well-vetted, feet-on-the-street reporting. Simply spouting opinion to gain followers cannot replace solid news values. Kane remarked that some media were making encouraging moves away from the overcrowded left and right lanes to the middle of the road  that lane is open right now. Doing so might be a smart way of gaining competitive advantage, while eschewing the left-right divide that is destroying credibility and pulling people apart. Kane likened the fake news situation to health care: its easy to laugh it off when you dont think it affects you. But just as health care becomes a priority in old age, disturbing social and political trends around the world have given fake news that level of urgency. We hope fake news gets rejected by this generation, said Kane. What's the Future for Mainstream Media in a Fake News Age?